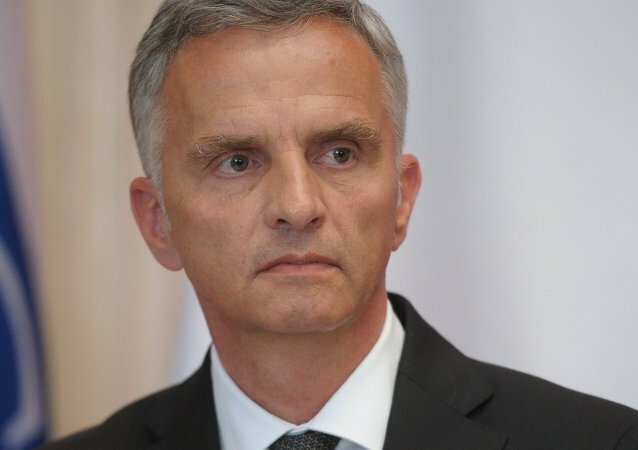 Swiss President and Chairperson-in-Office of the OSCE Didier Burkhalter shared Russia's concern over nuclear security due to US intention to supply nuclear fuel to Ukraine and urged Moscow to address the International Atomic Energy Agency. Six permanent frontline safety supervisor positions will be outsourced at the Australian Nuclear Science and Technology Organization (ANSTO), The Daily Telegraph reported Friday. Anti-nuclear activists in Japan have accused the government of concealing sensitive information on nuclear facilities ahead of a law on state secrets that will enter into force later this year, Japan's leading newspaper Asahi Shimbun has reported. As EBRD does not finance the final decommissioning at Chernobyl, the Chernobyl NPP will use state budget funding to complete the project, Vince Novak, EBRD Director for Nuclear Safety told RIA Novosti in an interview ahead of the 28th anniversary of the disaster. The use of US fuel at Ukrainian nuclear power plants will negatively impact their power production, Valentin Ivanov, General Director of Bochvar High-Technology Research Institute of Inorganic Materials told RIA Novosti Friday. An internal UK Ministry of Defense report has revealed there have been over 260 nuclear safety incidents at its naval facilities in western Scotland over the past five years. Russia's nuclear power plants remain secure, so there is no need for special inspections this year, the head of the country’s nuclear regulator said Wednesday. Radioactive water may have leaked again into the ground from a storage tank at the crippled Fukushima Daiichi nuclear power plant in north-east Japan, the plant’s operator reported on Sunday. The United States and Russia have cooperated to remove enough highly enriched uranium (HEU) to make two nuclear weapons from the Czech Republic, the White House said Friday, describing the effort as part of a larger initiative to prevent nuclear terrorism. South Korea's defense ministry unveiled Monday a new plan of "active deterrence," allowing it to preemptively strike its northern neighbor if any sign of an imminent nuclear or missile attack is detected, Yonhap reported on Monday. Moscow police have detained a college teacher who had a large amount of radioactive substances in his home, the Interior Ministry said on Monday. A senior Russian diplomat said on Thursday that the United States has provided new information on its missile defense program that Moscow will study in detail. The president of Ukraine said Wednesday that his country wants to continue cooperating on nuclear nonproliferation with the United States and build on its past achievements. A new round of talks between Iran and the five permanent members of the UN Security Council plus Germany opened in the Kazakhstan city of Almaty on Tuesday, with Tehran saying it will offer new proposals similar to an earlier Russian plan.